It was one of the first lessons your mom ever taught you- minding your P’s and Q’s and saying thank you when someone does something nice for you. When you were just knee high to a grass hopper all that saying thank you required was a quickly scrawled note on your Paddington Bear stationary, however, as we grow up situations may call for more than just a thank you letter; they may require more, like a sending thank you cupcakes online. Like that time your car wouldn’t start and your neighbour came out at 6am to give you a jumpstart so that you wouldn’t be late for work- that is an occasion that calls for thank you cupcakes. So where is the best place for you to buy and send thank you cupcakes? Well that would be your favourite online florist and gifting site of course, also known as NetFlorist! Whatever the situation is that calls for thank you cupcakes and thank you gifts we are the go to place for online cake and baked goods delivery. If you’ve had trouble at work, maybe with a deadline or getting a major product changed and a colleague has helped you out wouldn’t you want to say thank you in the best way possible, with thank you cupcakes? 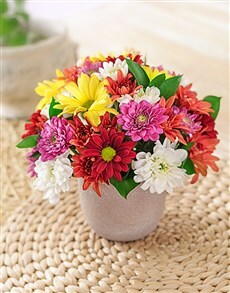 Cupcake and cakes are always graciously welcomed and makes for a thoughtful and fun way for you to express your thanks! 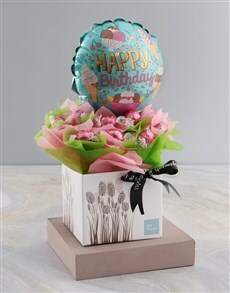 However you’re looking to say thanks you can’t go wrong with cupcakes and there is no better place to buy and send thank you cakes online than with NetFlorist. We have an amazing range of thank you cupcakes and cakes to choose from and because we are so awesome at our J-O-B’s, we fairies here at NetFlorist do door to door delivery of our baked goods. This means that you can order cupcakes online and we’ll deliver your thank you cupcakes faster thank you can say Bob’s your uncle. All you have to do to say thank you is log on to our website today and get shopping for those thank you cakes online!